The days of napkins are way behind us. Yes, the era of baby diapers is here and helping your newborn baby stay dry isn’t much of a hassle anymore. And, considering that you will be changing your tot’s diaper up to eight times a day, you’d better be careful with your choices. The best baby diapers should be highly absorbent, skin sensitive and environment-friendly. Of course the higher the approval ratings by other moms the better the value. 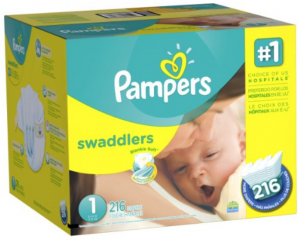 That said, we review the 10 best baby diapers that will keep you and your baby smiling. 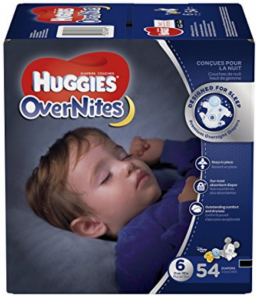 These are the best baby diapers for bed wetting. 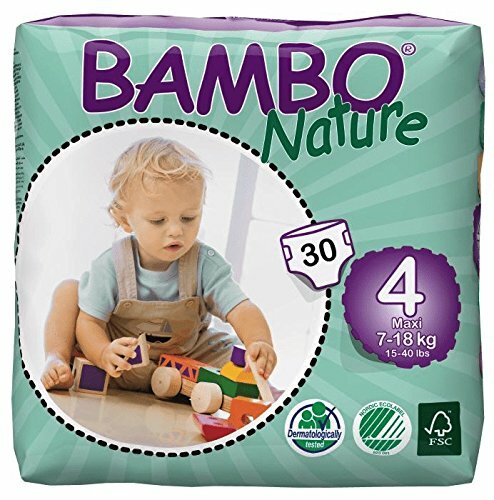 They are ultra absorbent, making them ideal for overnight use. 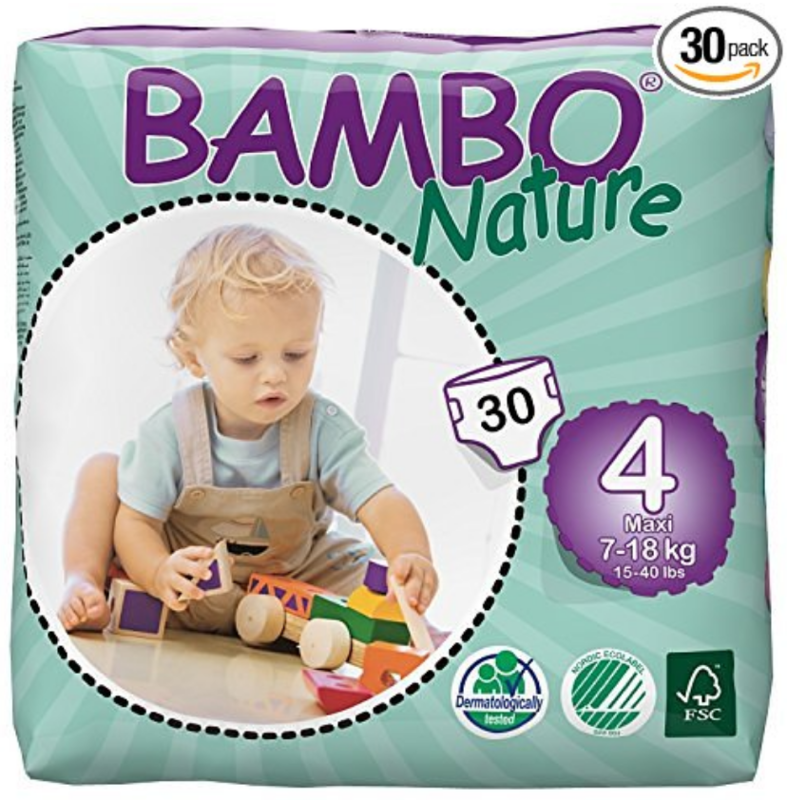 Bambo Nature diapers won’t react to your child’s skin but will instead reduce the risk of allergy and rash. They don’t contain allergens or any other substance classified as carcinogenic, sensitizing or mutagenic. 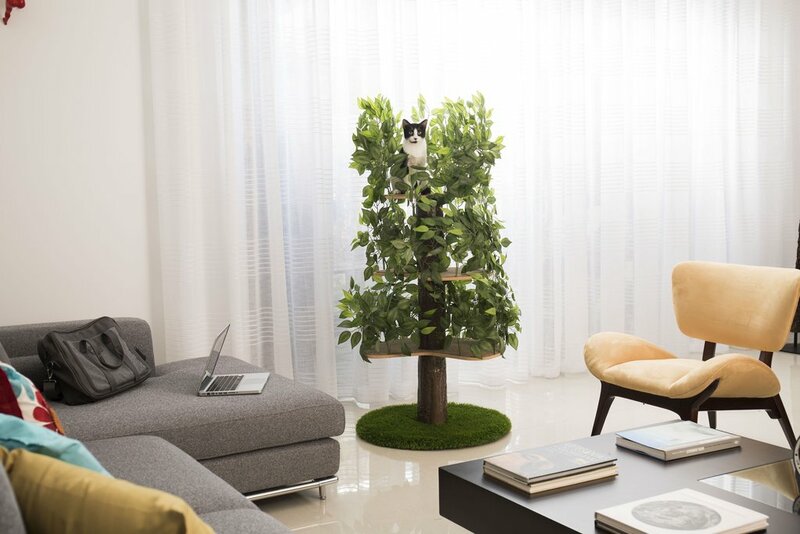 Best of all, they are eco-friendly to guarantee a safer and cleaner environment. 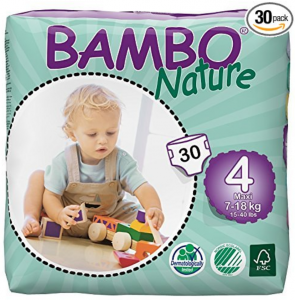 Bambo Nature diapers will fit any infant between seven to eighteen kilograms in weight. 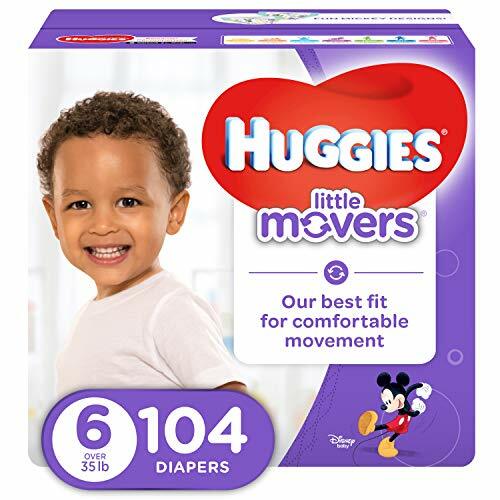 You got to check out these diapers advertised as “the best ever.” These are an ideal choice during that tricky phase when the little one can no longer stay still for a diaper change. 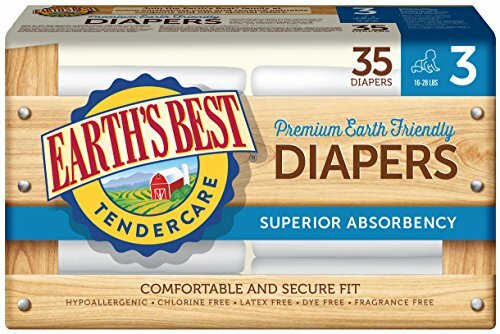 In other words, they are the best baby diapers for a toddler who’s just about to start potty training but isn’t quite there yet. 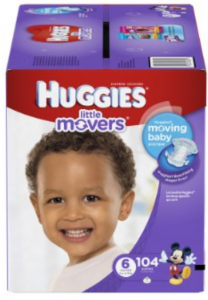 The Huggies Little Movers feature a unique lock system that offers protection for up to 12 hours. They also have an ergonomic design that allows you to lift them up just like underwear for quick changes. Wrap your little cutie with the Earth’s Best Diaper and help keep them dry for the better part of the day. 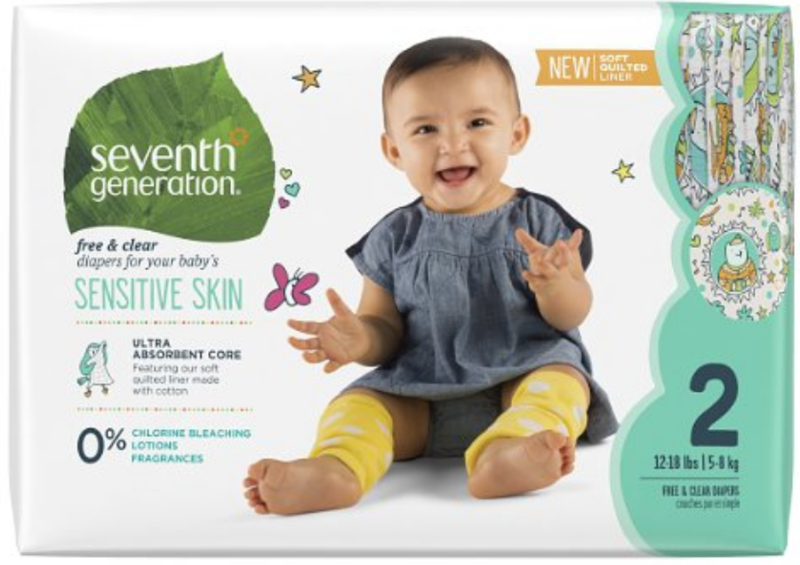 These feature porous, organic materials which can only mean that they’re safe for your baby’s skin. 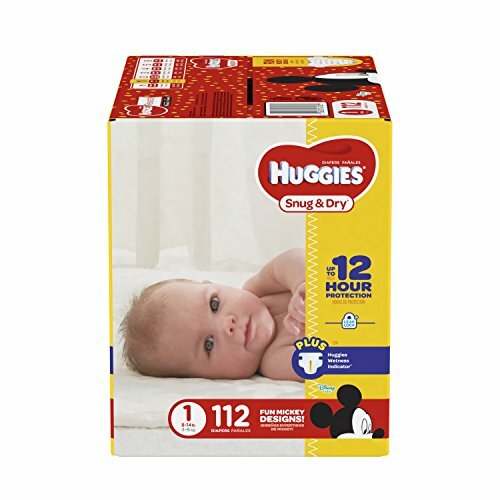 With each pack containing 140 diapers and selling for less than fifty bucks, these baby diapers are certainly budget-friendly. 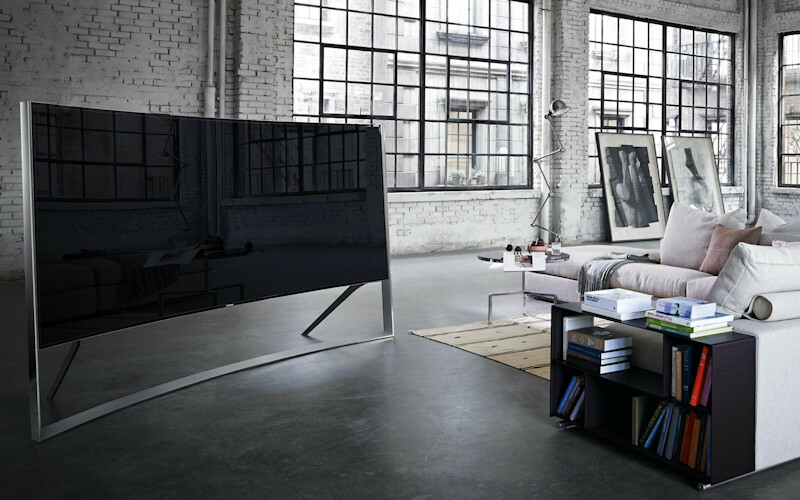 They are adequately stretchy complete with flexible panels to stop leakage. 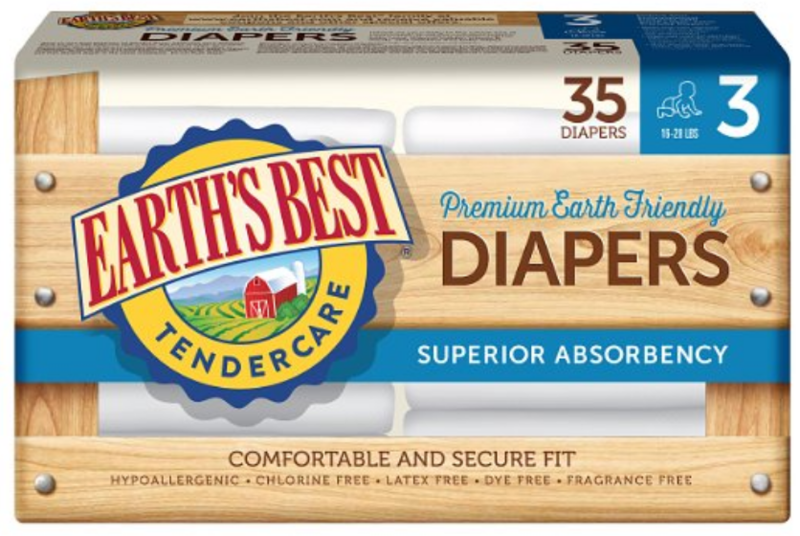 Earth’s Best Diapers are available in seven sizes and fit babies weighing 16 to 28 pounds. 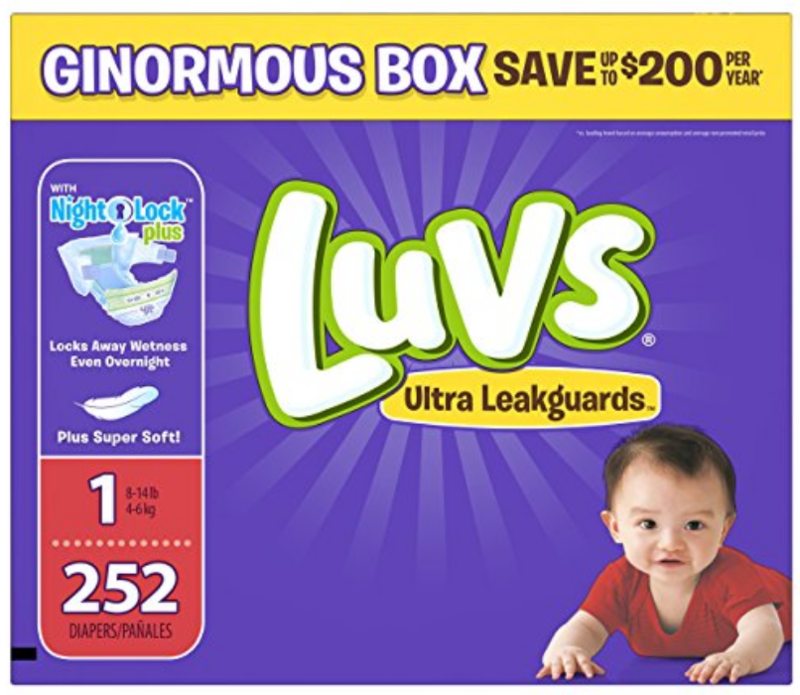 These diapers are as safe as they come. With no chlorine, fragrances or lotions, they’re made to take care of your baby’s sensitive skin and prevent leakage. 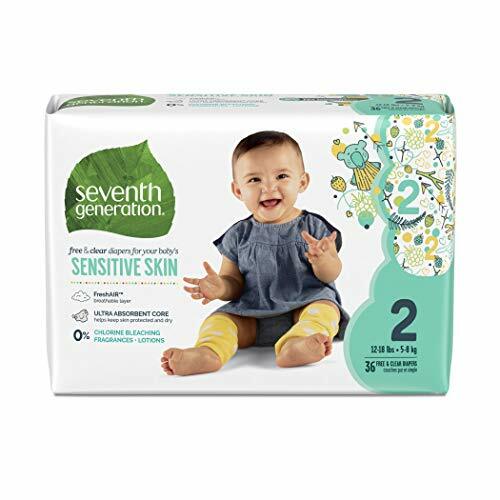 The special, quilted cotton liner is soft to the skin while the ultra-absorbent core does an excellent job of pulling the moisture from the skin. And just like other diapers from Seventh Generation, these are made with sustainably sourced materials to help keep the environment safe. 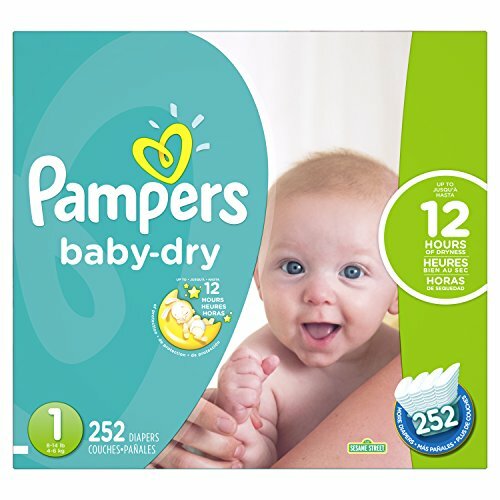 To cut to chase, they seek to do what the best baby diapers ought to do – keep your tot dry and comfortable for hours while taking care of his/her skin. 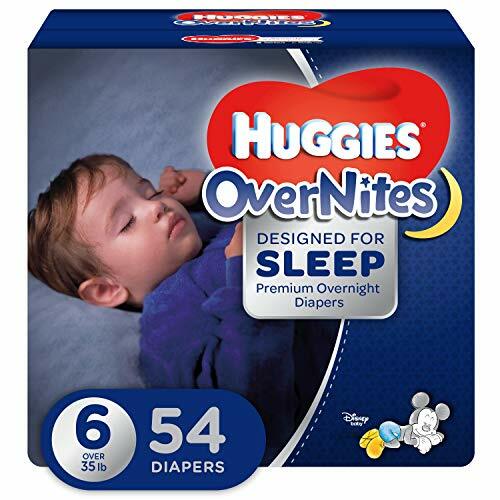 Huggies Overnites are 25% more absorbent than regular diapers. They come with double grip strips for a perfect fit. The SnugFit waistband ensures that the diaper stays in place as your baby sleeps. 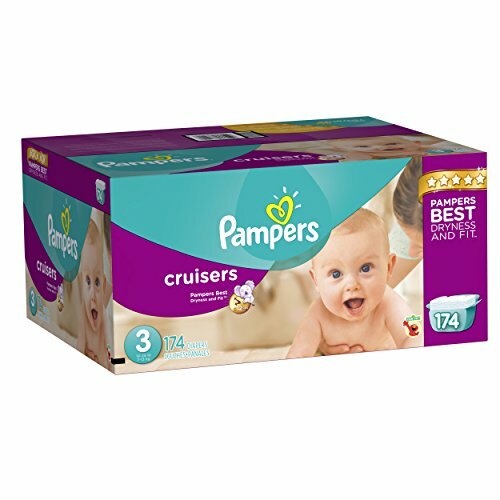 The best baby diaper should offer optimal comfort and dryness. These have an embossed line that draws moisture from the little one’s skin. The breathable outer cover keeps your child comfortable with dry skin. Because of their design, these diapers are the best baby diapers for beginners. 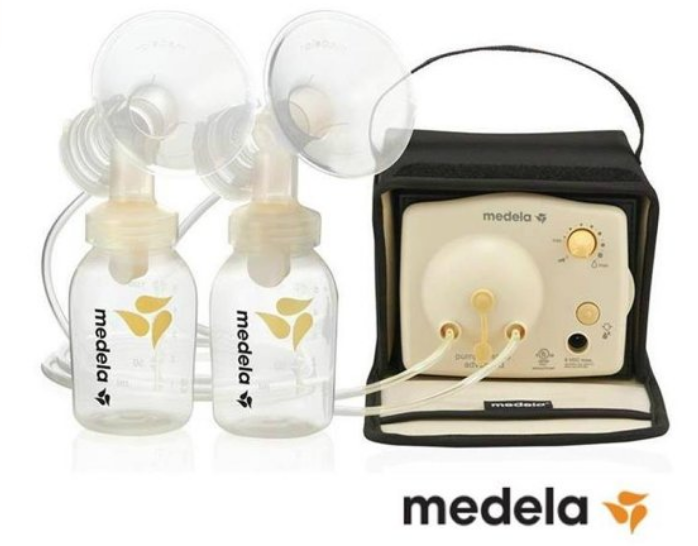 They come with extra absorb channels to help distribute urine evenly and reduce the sag. 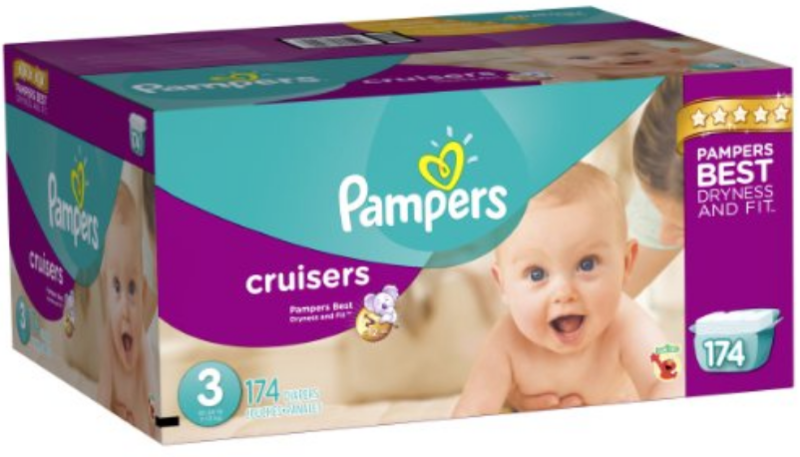 With flexible leg cuffs, the Pampers Cruisers will gently seal around your kid’s legs to prevent leaks. Fastening them isn’t a problem either, thanks to the elastic sides. 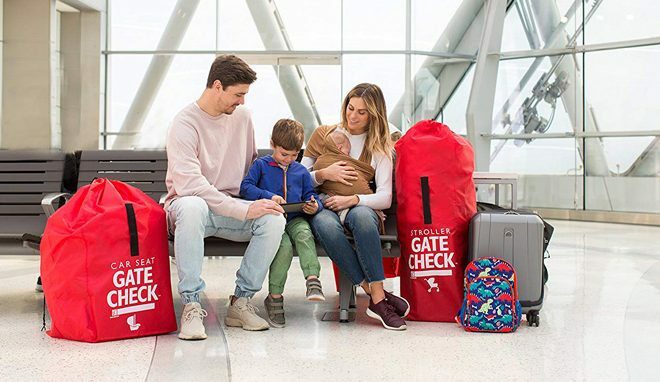 In the meantime, the unique 3-way fit will adapt to the waist, bottom and legs, giving your toddler the freedom to move. 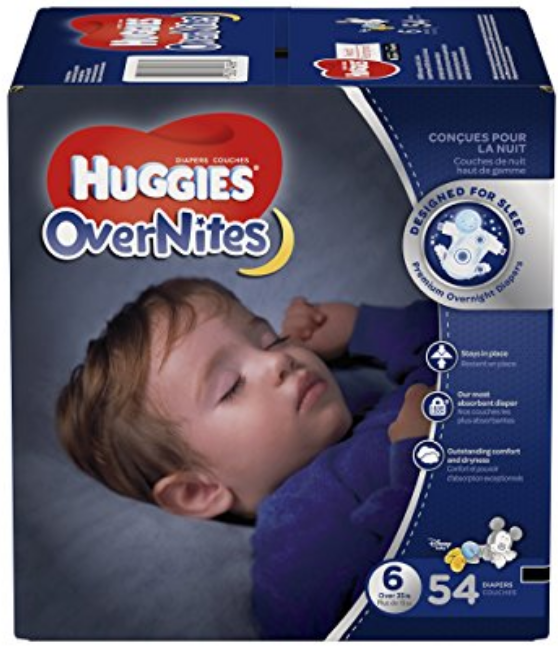 With three times more absorbing power, these are ideal for night sleepers. 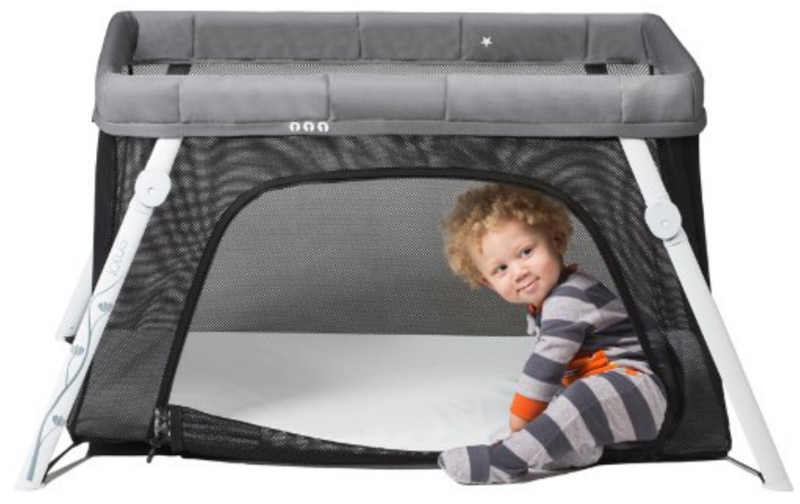 There are remarkably soft inside and out for your baby’s comfort. Your child gets up to 12 hours of protection to help him/her enjoy a good, comfortable night rest. Smaller sizes (N, 1 and 2) have color indicators to help you know when it’s time to change. And just so you know, the Pampers Baby Dry weighs a mere 0.19 grams less than most diapers after three wettings over fifteen minutes. 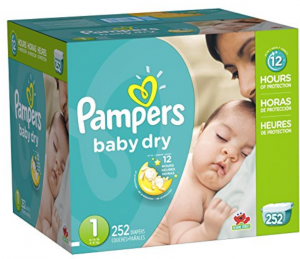 As the name suggests, there are the best baby diapers for your newborn baby. After all, more than 5,000 parents share the same opinion. They have a wide fastening area to reduce changing times, a handy feature when dealing with weeks old babies. The patented NightLock Plus design keeps them in place after rounds of urinating. 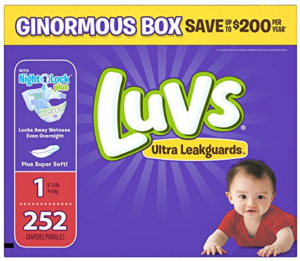 Luvs Leakguards are super soft to help ensure that your child isn’t grumpy but comfortable instead. You also get to choose from various sizes to match your kid’s weight and size. 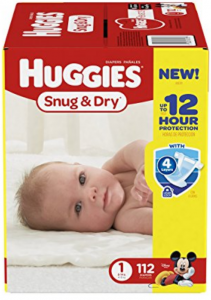 Get the Huggies Snug diapers and enjoy uninterrupted quality time with your baby. 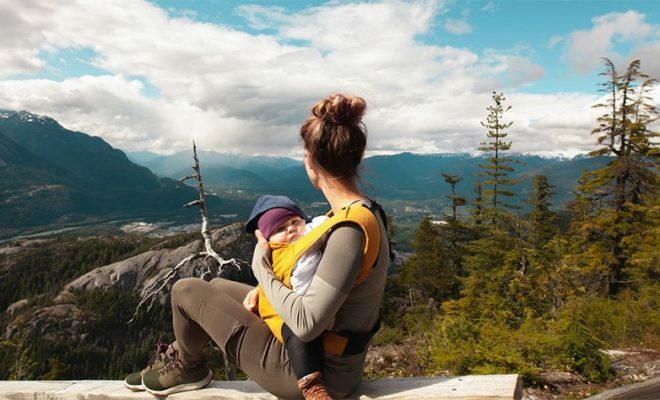 With four high absorbing layers, you can rest assured your infant will stay dry for hours. These come with an umbilical cord cut-out to protect your tot’s belly button as it heals. That means you can use them even when the baby is a few hours old. Be sure to choose larger sizes as the child grows for protection up to when he/she is ready for potty training. 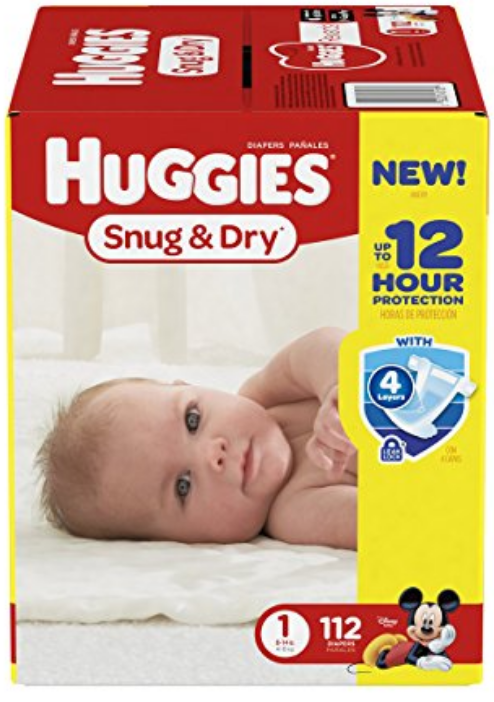 The Huggies Snug fits babies weighing 8 to 14 pounds in weight. They have a unique wetness indicator and a notched waistband to prevent contact with sensitive areas. To cap it all, they are incredibly soft and will work for kids will skin allergies. Trust Pampers when it comes to making revolutionary baby care products. The Swaddlers are not only efficient at keeping your newborn dry but also highly affordable. 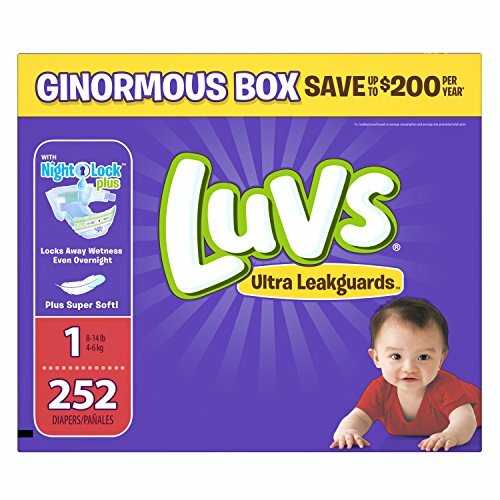 And with over 7,000 reviews and a high rating to match, these are indisputably the best baby diapers on the market. 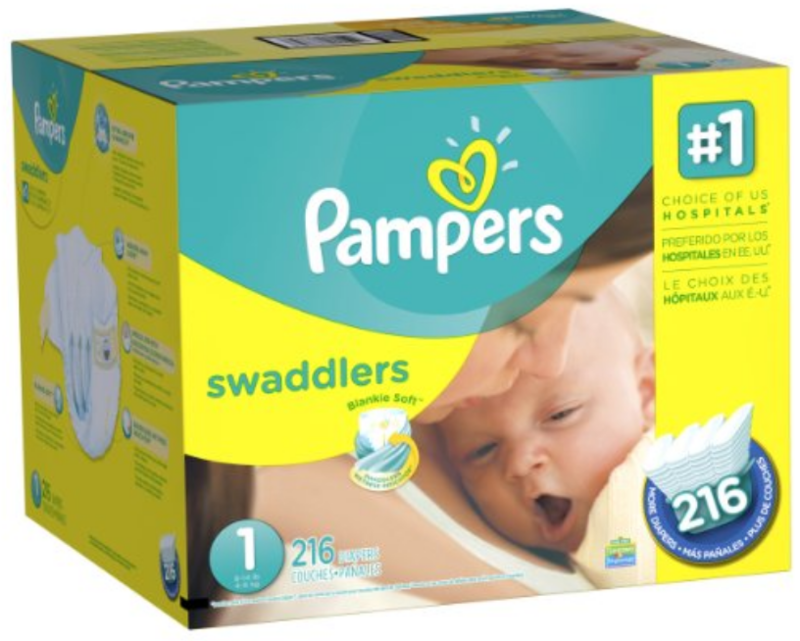 In fact, the Swaddlers take pride in the most preferred hospital diapers. Plus, moms who’ve used them on their toddlers say they prevent rashes on the bottom and between the legs. To keep it short, the makers of these diapers have your baby’s comfort in mind.